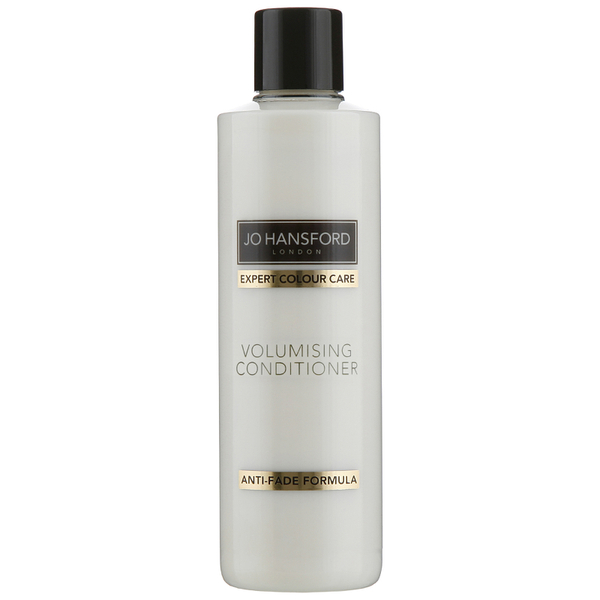 The Jo Hansford Expert Colour Care Volumising Conditioner boasts a unique and effective formula which works to maintain the vibrancy of your colour treated hair whilst giving a sleek, smooth texture. Using the Heliovita Colour-Care complex to fight against fade, this conditioner also works to add body and shine to give you a salon fresh feel every time. The conditioner will prevent your hair colour from fading with the benefits of Sweet Blue Lupin Peptides, Prodew Amino Acid blends and an Anti Fade Formula. Creatine and Sweet Almond Oil work to improve hair volume and replenish your hair with moisture. Damaged hair will be repaired and you will be left with smooth, voluminous locks! - N.P. After shampooing, gently massage conditioner into the hair. Comb through and then rinse thoroughly. For best results, use with a Jo Hansford Expert Colour Care Shampoo.